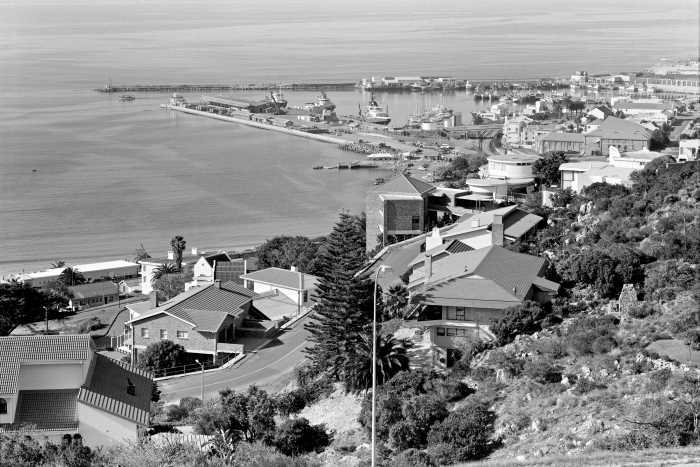 Situated halfway between Cape Town and Port Elizabeth at Longitude 22º 08′ E and Latitude 34º 08′ S, it is the smallest of the commercial harbours along the South African coast. One of the most famous landmarks at Mossel Bay is the Post Office Tree, where seafarers from centuries ago posted letters home using a cleft in an ancient tree as a postbox. This was a result of ships calling at Mossel Bay regularly for watering and other purposes. 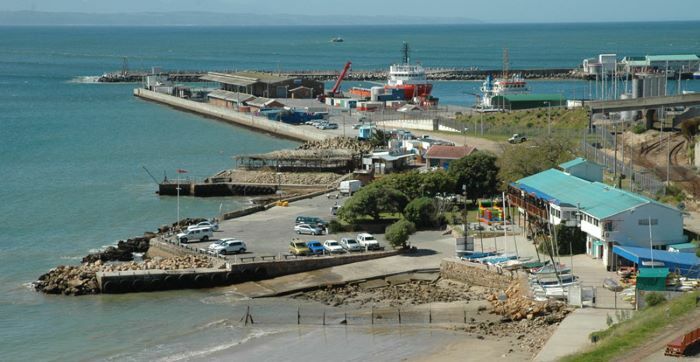 Today Mossel Bay is an active harbour catering largely for the fishing industry and the oil and gas industry, which began with Mossgas in the late 1980s. The port sees little other commercial activity and there hasn’t been any other significant growth in the ensuing years. The harbour is the only port with two offshore mooring buoys inside port limits, of which one is a marine tanker terminal single point mooring buoy used by feeder vessels from Durban and Cape Town. Mossel Bay has a work boat/tug named Arctic Tern (built 1998) with a bollard pull of 19t. Then port also makes use of a mooring launch named Snipe, which is also used as a pilot boat and for the transfer of crew and other personnel. During the 2016 calendar year Mossel Bay handled a total of 625 vessels (2015: 1050 vessels) with a combined gross tonnage of 3,154,259-gt (2015: 4,540,038-gt), of which South African trawlers were in the majority. In 2016 the port handled a total of 1,831,650 tonnes of cargo (2015: 2,518,316 tonnes), of which 1,811,852t (2015: 2,474,522t) was bulk cargo (almost entirely oil products), the balance being breakbulk. Imports during 2016 amounted to 997,875t while exports totalled 833,775 tonnes. Mossel Bay does not handle containers. Because of the port limitations, tankers make use of the offshore mooring buoys. A full diving service is available for underwater inspection, hull cleaning, salvage etc. Bunkering inside the harbour is available at quays 2,3 and 5 and on the jetty. Ship chandling and stevedoring services are available.